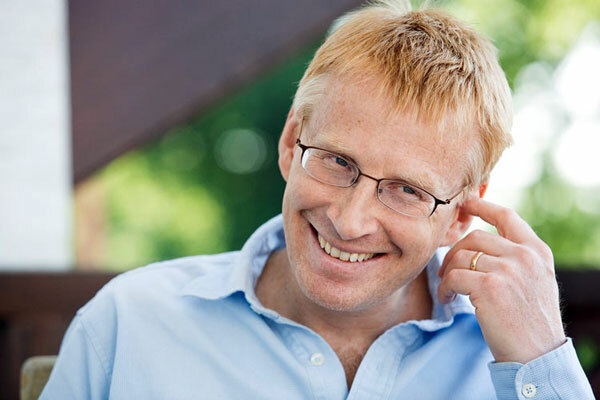 That's Dr Phil Hammond, GP, writer, comedian and host of Radio 4's 'The Music Group'. But for a simple twist of fate, he could now be my wife. No, seriously. I had an e-mail yesterday from Jim Kitson of Senators fame. Unfortunately, as 'Senators fame' essentially equates to about six people in the UK knowing who you are, I should probably elaborate. The Senators were a band who were around in the late 80s and early 90s, were signed to Virgin Records, and had no hits whatsoever. I created this website about them in 2001. The website succeeded in attracting a number of fellow fans, and nine years later I married one of them. That's pretty much all you need to know. Although you could read this account too. Here's a link to 'Good Morning World' being discussed recently on Radio 4 in case you're remotely interested. I'm in Colchester being a Grape of Wrath and playing the banjo in dungarees. Hope all is cool with you and yours. 'Good Morning World' is an old Senators song which sounds a bit like the Gazebo Dance from 'In the Night Garden'. And if you've forgotten how that goes, you can click here. Now, it may not be immediately obvious at first listen, but virtually every word of that broadcast is about me. No, really. Julian Baggini e-mailed me in 2003 (I think) to say he had this idea for an article on bands who never quite made it, and he asked if I could put him in touch with Mick and Jim Kitson. I duly did so, he subsequently wrote the article, and seven years later, he's talking about it on Radio 4. But more bizarre than that, is the sudden revelation that Dr Phil Hammond is a closet Senators fan. At least he claims to be. To be honest, about half the things he says are lifted word for word from my biography page, so it's hard to tell which are genuine memories, and which he just read on my site before going on air. But either way, if he'd come out of the closet and sent me a few e-mails, he could be sitting here now instead of Lisa. Although whether the relationship would have worked long-term, I'm not sure. Not sure you can help. I produce a BBC Radio 4 programme called The Music Group (guests choose records and talk about them). One of my guests (Julian Baggini) has chosen a Senators track for the programme. All fine – I have the record and can use it. However, it turns out my presenter Phil Hammond is also a fan of the band and has just asked if we can finish by playing a little of 'Man No More'. I’ve tried this morning to get a copy (not live version) but have been unable to and wondered if you had an MP3 of the original that we could use? The music would be reported in the usual way on our paperwork so band get paid etc. it’s just I can’t get the version in time. We record on Sunday but I’ll need to prepare the clips etc tomorrow. Can you help? Don’t worry if you can’t but thought it worth asking. I think I need to start checking my e-mails more often. They might even have given you a mention on the programme. Phil thats not like you to not check your emails. I think you're the Simon Bates of the blogging world who has just sentanced The Senators to another lifetime in obscurity and Scotland due to lack of royalties! I would like to say that I'm a keen follower of all things musical, and so was fascinated by your life on the fringes of the popular music scene. I'd like to, but can't. My aim is to ruin the Kitsons' lives to such an extent that Simon Bates will feature them on 'Our Tune'. I guess you can extend the fanbase of The Senators to 7, I've loved their stuff for years and no-one else I know ( apart from my wife who has had the music rammed down her throat for the last 19 years ) has heard of them. I have Welcome To Our World. Lovely and Hopes & Bodies on cassette,CD and MP3, does that make me sad? greatly benefit from each other. If you're interested feel free to shoot me an e-mail. I look forward to hearing from you! Superb blog by the way! want?.I am attempting to in finding issues to improve my web site! yet I never found any interesting article like yours. It's pretty worth enough for me. Personally, if all web owners and bloggers made good content as you did, the net will be much more useful than ever before. old-rolled products continued with dependent mien tiles miracle, the Zhuo Yue goods eminence and adroit document enticing Tutelary Toru honor global. Stay up the good work! You realize, many individuals are searching round for this info, you can help them greatly.